David Adelsheim feels it's time for the Chehalem Mountains to take it's place among the great grape growing regions in Oregon, "We believe it is one of the very best regions in the Willamette Valley (and perhaps the world) to produce Pinot Adelsheim Vineyard is releasing Breaking Ground, a 2014 Chehalem Mountains AVA Pinot Noir ($45). 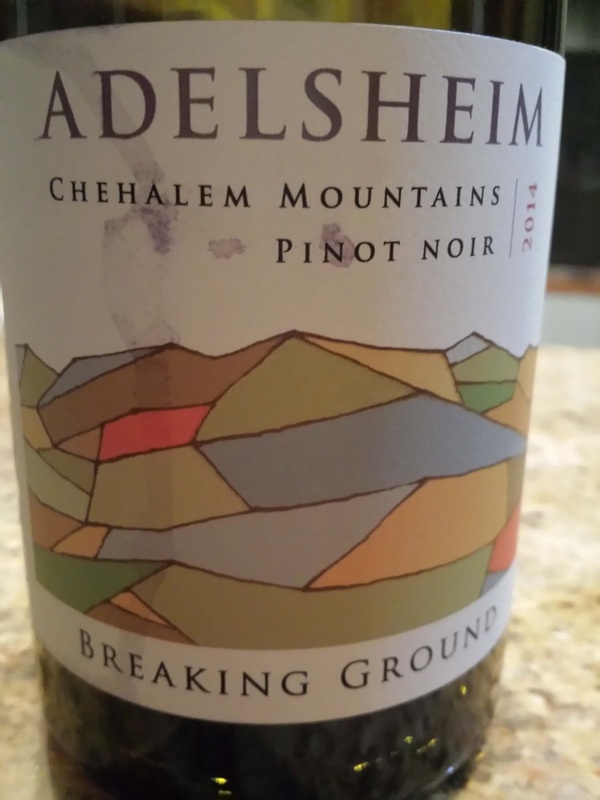 The Adelsheim's commitment to the Chehalem Mountains started in 1971 when the family purchased their first property and established the area’s first winery. Located in the northern Willamette Valley AVA, the Chehalem (pronounced Sha-HAY-lum) Mountains AVA is 20 miles long and 5 miles in width and it's mountains and ridges comprise three major soil types: volcanic basaltic (southeast), ocean sedimentary (northwest), and loess (northeast). The grapes for Breaking Ground were sourced from LIVE (Low Input Viticulture & Enology) certified vineyards among each of these three soil types. The wine is smooth, juicy and lively as blackberries and dark cherries roll into a dusty black tea flavor. Simply delicious.